So India’s Rupee has a new symbol!!!!! But how do you use on your computer?? Well, it will take some time to officially include in the Unicode Character set to be able to use it everywhere: computers, mobile phones, internet etc. Because it has to be included in the character set by Unicode Consortium, which will take at least 3-4 months. So, here is a font that can be used in the meantime. 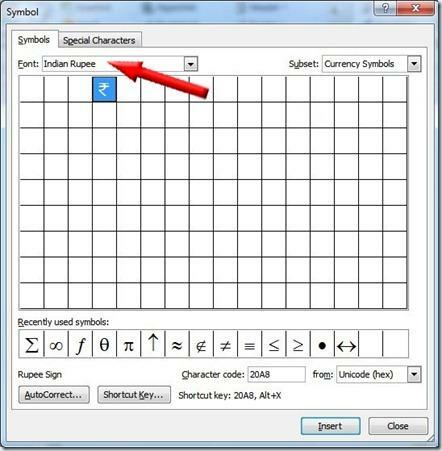 Some other people have also made font for Rupee sign, all of them are mapped to normal characters available on the keyboard. It makes it easy to insert the symbol, just type the relevant key, change the font, done. Sounds simple, but there’s a catch. Every time you need to insert the symbol, you need to change the font for the symbol, then change the font back for the rest your text. Moreover, if you select the whole text and change the font, the symbol font will change to actual the character that it was mapped to, like if it mapped to # sign, # will appear in the text instead of the new Rupee sign. Hence I have mapped the sign to the Rupee (Rs) sign available in Unicode character set, which is embedded to Unicode character U+20A8. So, if you send a file containing the symbol to someone else, and if that person does not have this font installed, the old Rs. symbol will be shown in that person’s computer instead of the new symbol. This is much better then showing some other character. First, download the font and install on your computer. This will bring up the Symbol Dialogue Box. Select Indian Rupees font in the font drop down list. There are few other ways you can insert the sign. Insert from Character Map in Windows. Click Start button, then run, then type charmap and Enter. Then do as above. Hold alt key and type 8360 in your numeric key pad. 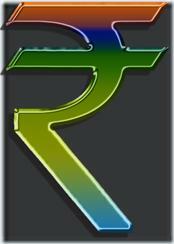 If you see Rs instead of the new symbol, then select it and change the font to Indian Rupee. You can also set a shortcut key in MS-Word. 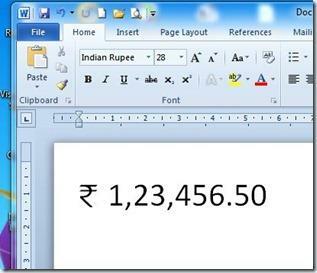 Go to Insert Symbol as above, select the Indian Rupee font, then click on the Shortcut Key button. Now press & hold alt key and then any that you would like to assign. Like, you can assign it to alt+R. Then, whenever you press alt+R, the symbol will be inserted. This is the easiest method. The above procedures can be used any Office application.